I have been watching my family in the USA take the "Ice Bucket Challenge". 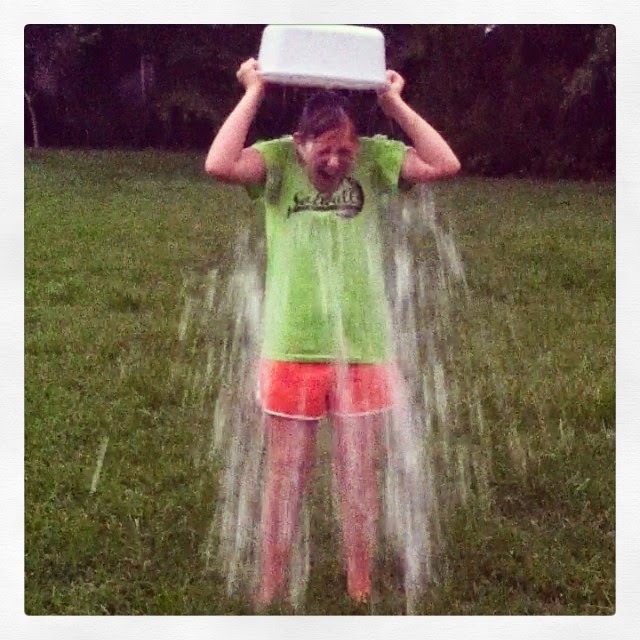 My niece challenged me to take the Ice Bucket Challenge. I thought, why take the challenge, pour a bucket of Ice over your head to get out of donating to ALS? Post by Susan McGrath Jones. The Ice Bucket Challenge is where you video buckets of ice being poured over yourself and challenge your friends and family to do the same. They have 24 hours to accept the challenge and post their video via Social Media or they must donate cash to ALS research. The Ice Bucket Challenge was started by a Massachusetts resident who has lived with ALS since 2012 to raise awareness for ALS. The challenge has gone viral and even the President of the USA, Obama was challenged by Ethel Kennedy. My family have a very strong reason to support ALS awareness. My sister's late brother-in-law, Dr Mickey McGrath died of ALS in 2010. Soooo, Have you taken the Ice Bucket Challenge?